Chile's housing market remains robust, despite the introduction of a property sales tax last year. The average price of new apartments in Greater Santiago rose by 4.29% during the year to Q3 2018, an improvement from the previous year's 3.43% y-o-y rise. On a quarterly basis, house prices increased 2.64% in Q3 2018. Analysis: The impact of last year's imposition of 19% VAT on property sales by "habitual sellers" such as real estate companies is diminishing. During 2017, the number and value of home sales in Greater Santiago (after a significant drop last year) rose by 16.4% and 21.1%, respectively, according to the Chilean Chamber of Construction (CChC), compensating for last year's slump. In the first nine months of 2018, the number of home sales in Greater Santiago increased 8.7% to 25,598 units compared to the same period last year. Santiago apartment costs are low at around $2,771 per sq. m.
Recent news. 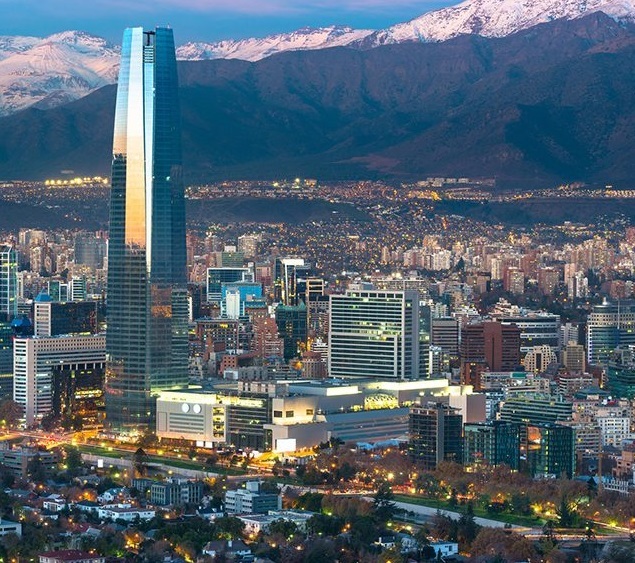 Chile’s economy is expected to expand by 4% this year, amidst higher copper prices and improving business sentiment after the resolution of political uncertainty related to the 2017 presidential elections. The growth projection is an improvement from meagre growths of 1.3% in 2016 and 1.5% in 2017, according to the International Monetary Fund.